Director of Communications and Public Relations of the county of Mombasa Richard Chacha and three others have now gone to court seeking compensation for damages for a 2012 accident that left two of them paralysed. 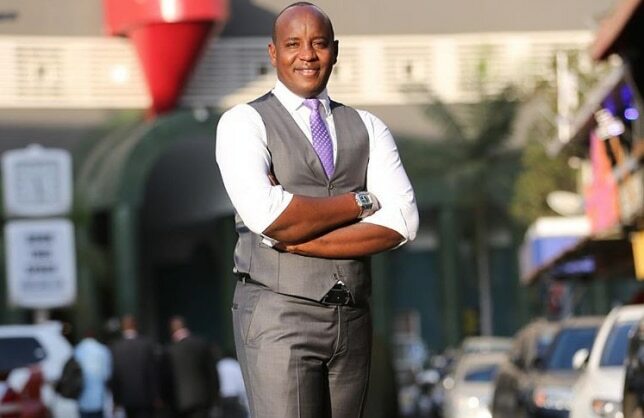 Chacha, Emmanuel Tallam, Faith Kaimuri, and Ephantus Mwangi have named Linus Kaikai as the respondent and want him held responsible for negligence being the owner of the vehicle in the accident case. According to Chacha the accident was fatal to a point of leaving them in wheelchairs. While testifying before Judge Richard Mwongo at the High Court in Naivasha, Kaimuri said her life had changed permanently as she could no longer walk. In addition she said, that she is forced to hire a nurse to assist in her personal maintenance. Kaimuri who was among the five victims in the accident that occurred along the Mai Mahiu-Narok road said that she could not recall what happened up to date. She told the court that she fell unconscious and woke in hospital some days later only to learn that she could no longer walk and had to rely on a wheelchair. Kaimuri said that she has suffered financially, physically, and mentally while seeking medical services in various hospitals. “I am still working as an administrator in Nation but I cannot deliver my services as I used to,” she said. For his part, Chacha says that the accident destroyed his future life as he was rendered completely paralysed by the accident. Chacha, who was a passenger in the ill-fated car, said that he had suffered huge financial losses as he sought medical attention locally and abroad. “After the accident, I suffered permanent injuries and the accident occurred due to negligence in the part of the defendant who owned the car,” he says in his affidavit. The latter was then NTV news editor and is currently with Citizen TV. The case will be heard on March 13 and March 14, 2019.